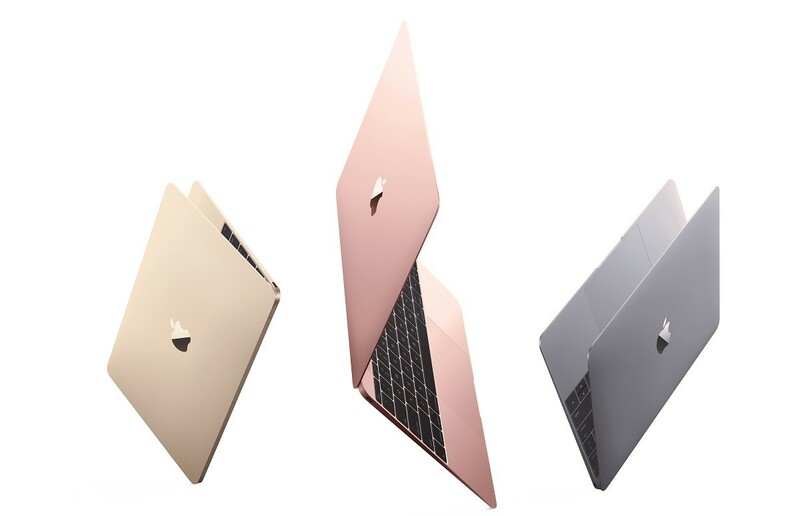 Local Apple premium reseller, Switch, has begun a special rebate offer for a large selection of MacBook laptops, including the MacBook Air, MacBook, and MacBook Pro. Depending on the model, Switch is offering between RM300 to RM500 rebates for the laptops. There is one caveat to the offer: these models are actually previous-gen models (the evergreen MacBook Air notwithstanding) from 2016. 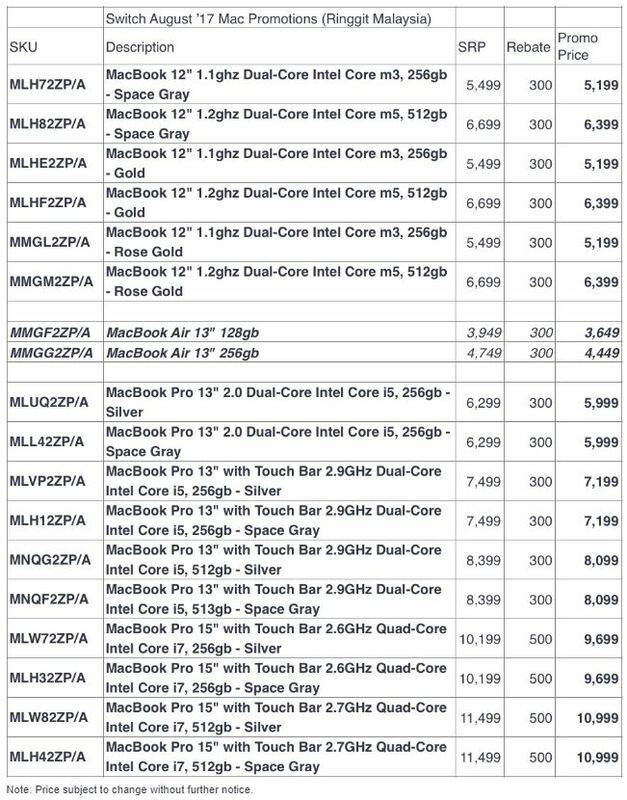 The 12″ MacBook are all 2016 models as shown from their SKUs, while the MacBook Pro are also not the latest Kaby Lake models, which have marginally higher clock speeds. Nevertheless, these are still attractive rebates if you’re looking to get a MacBook laptop. 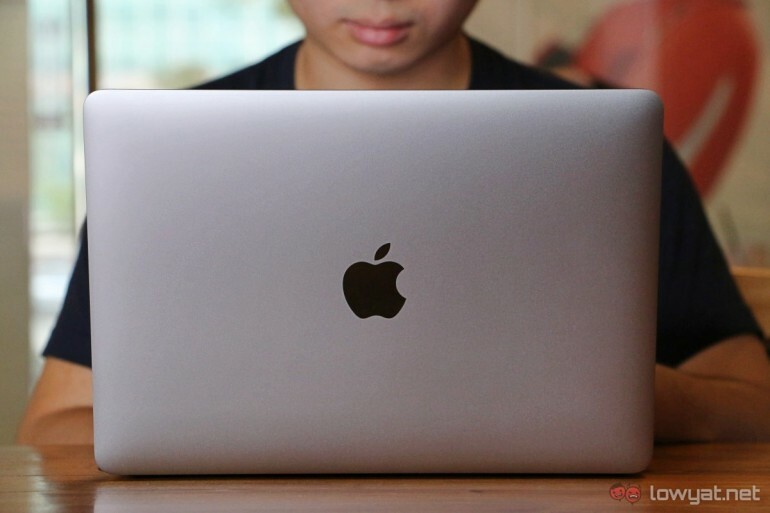 All 12″ MacBook variants, the 13″ MacBook Air, and MacBook Pro 13 are offered with a RM300 rebate, while the pricier MacBook Pro 15 sees a larger RM500 rebate. This promotion is available immediately, and will run while stocks last. You can buy them at physical Switch stores nationwide, as well as on the Switch Online Store, which you can visit here.